Already on sunday evening about 8000 balloons were released to mark the 25th anniversary of the fall of the Berlin Wall – one milestone of the reunification of East and West Germany. For three days a 15 km “border of light” (Lichtgrenze) symobilized the line where over 25 years ago the Berlin Wall divided the city in two. 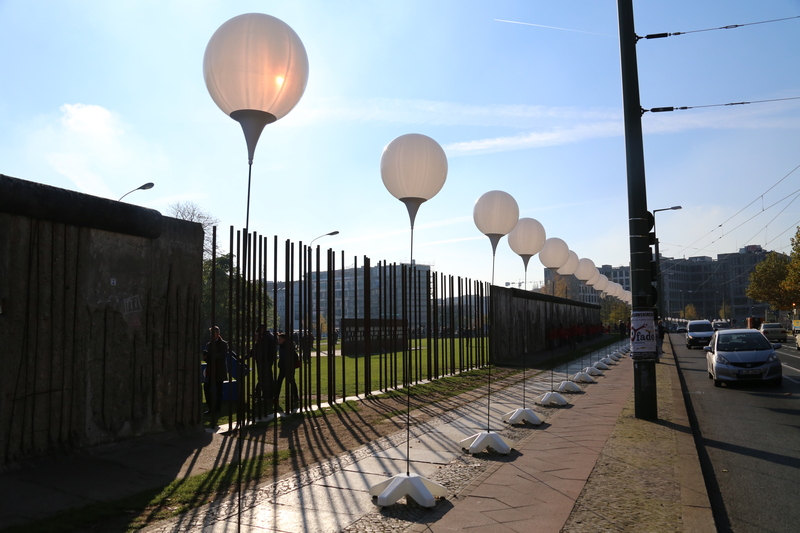 Walking along the row of illuminated balloons gave a great impression of how and where The Wall once was: across bridges, along streets, around Brandenburg Gate – right through Berlin’s heart. 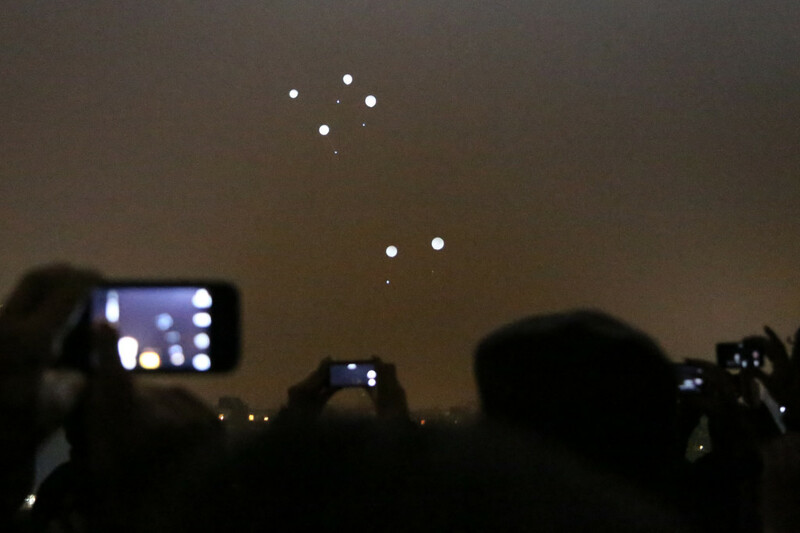 Here’s some photos I took during the three days the Berlin border of light was up. More photos will follow hopefully rather soon over at bilderbook. And here it is at Google Maps. This entry was posted in Mitte, Prenzlauer Berg and tagged Berlin Wall, events on 11. November 2014 by t.b..